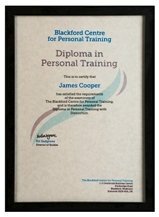 The first certificate is a Diploma in Personal Training awarded by the Blackford Centre. The course has been endorsed under the ABC Awards and Certa Awards Quality Licence Scheme. This means that The Blackford Centre has undergone an external quality check to ensure that the organisation and the courses it offers, meet defined quality criteria. 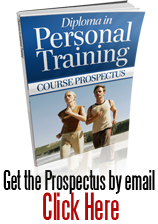 The completion of this course alone does not lead to a regulated qualification* but may be used as evidence of knowledge and skills gained. The Learner Unit Summary may be used as evidence towards Recognition of Prior Learning if you wish to progress your studies in this subject. To this end the learning outcomes of the course have been benchmarked at Level 4 Diploma against level descriptors published by Ofqual, to indicate the depth of study and level of demand/complexity involved in successful completion by the learner.